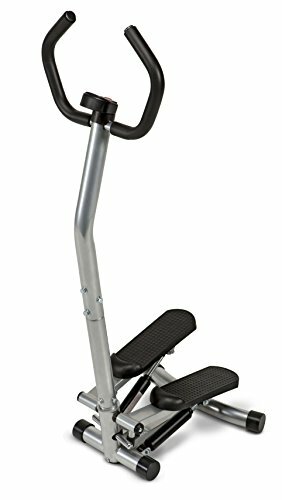 The Marcy MS-94 Mini-Stepper with Assist Handle from Impex Fitness features a durable frame construction and hydraulic resistance shocks. The ergonomic stability handles and wide, non-slip pedals will keep you in place while stepping. The multi-function electronic display features a counter, timer, calories burned and a scan mode. Backed by a manufacturer's 2 year limited warranty.